In some ways, I feel like I've known Giuseppe Rossi a long time, but I've just really known about him. He was almost an urban soccer legend - a Jersey boy with preternatural skills who left youth soccer in the area (where he played with the likes of Danny Szetela) to join the youth team of Parma, and later, Manchester United, Villarreal and Fiorentina. That's quite a tour of top teams in the world's top leagues. But it wasn't all success and happiness for the striker. Rossi suffered a series of injuries that left him heartrendingly just on the outside of Italy's World Cup roster not just once, but twice, in 2010 and 2014. He might never play in the tournament. It goes almost without saying that he likely would have played in three World Cups for the land of his birth, but that's a scenario of the road not taken, and his career is an impressive one nonetheless. In fact, he's got a book out about it now. Note the shout-out to a Jersey legend in the title. I've got to say, as a former Lit major, that I love all the references to American classics in the chapter headings. I wrote one of my first ESPN.com articles ever about Rossi, and a few more related to him since. Still haven't spoken to the man in person, but today, I did hear from him. Clearly, he's a good sport. Here's the tweet I originally commented on. And no, I don't speak Italian, but I can take a hack at understanding it, much like I do Portuguese, because it's a Latin language like Spanish. Rossi, though, is fluent in Italian, Spanish and English. His tweet here was about his dad's spirit and personality. Rossi lost his father in 2010. 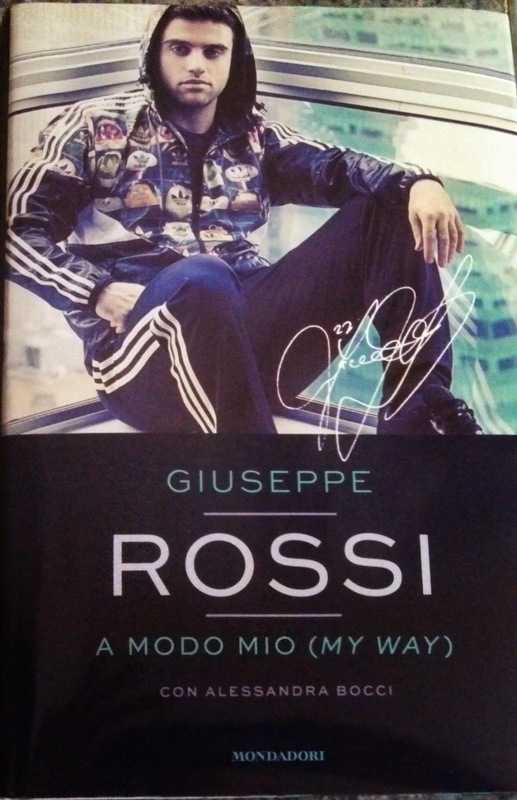 Thank you for the reference to my book review on Rossi's autobiography. You're welcome! Good work, you went into a lot of detail.